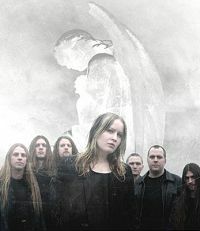 Recorded and produced at Studio Underground in September 2004 by Pelle Saether and Draconian. Musical compositions created by Johan Ericson. Lyrical concept and achievements by Anders Jacobsson and Erik Arvidsson, except forExpostulation, written by Ryan Henry. Vocal arrangements by Anders Jacobsson and Johan Ericson. All songs arranged by Johan Ericson and Draconian. Sweden's Draconian more the lives up to its name. Tapping into two of the most melancholic of genres, doom-death and gothic metal, Draconian releases its second dirge, titled Arcane Rain Fell. Slow, despondent, and gothic are words that come close to describing the tapestry of music the band weaves, although none of these words, or any amalgamation thereof, can truly capture the essence of this band's unique sound. Arcane Rain Fell is a concept album that deals with fallen angels. Arcane Rain Fell begins with A Scenery Of Loss, which begins with a gentle rainstorm. Doom metal rears is ugly head as the thick, fret-heavy guitars of Johan Ericson and Magnus Bergstrom resonate from the speakers while the death metal growls of Anders Jacobsson take centre stage. As the song builds, however, it also softens, with Jacobsson using a narrative voice to recite poetry while keyboardist Andreas Karlsson creates an atmospheric screen of sound. And then come the soprano vocals of Lisa Johansson, and suddenly there are visions of Theatre Of Tragedy in my mind. Not to worry, though, as Draconian creates its own distinct and enthralling sound. Draconian's blend of monstrous guitar riffs with softer passages (as well as poetic interludes) is powerful emotionally and is sure to move even the most jaded of listeners. Daylight Misery showcases the subtle but effective basswork of Jesper Stolpe and features various vocal styles, from Jacobsson's death metal growls and his monotone singing voice to his narrative tone and Johansson's fairy-like croons. The Apostasy Canticle (an unholy song that tells how angels renounced God) begins with a mournful guitar riff that through the course of the song begins to seethe while Jerry Torstensson crafts some dense but sparse percussion. The shortest track comes next. At little more than three minutes (most of the songs are long than six, with the last one clocking at more than 15), Expostulation is the apex of the album, with Jacobsson setting down Satan's underlying ambitions while the musical background ebbs and flows like a primordial sea bathed with the blood of Satan's minions. Heaven Laid In Tears serves as a counterpoint to the darkness that has come before. Thus, the music begins gently, showcasing Jacobsson's serene vocals before Jacobsson's growls scream in anguish. Saturated with sadness, this song captures the pain and misery suffered by Satan as his own arrogance casts him into the pit, where he is to rule until the time of judgement. The Abhorrent Rays turns up the harsher elements of doom-death, with the guitars stepping to the forefront and grinding out an array of sizzling riffs while the percussion sets a frenetic pace. The bass reverberates in the background, as do the keyboards, and as the song progresses the band shifts the pace back and forth, going from catchier, almost darkwave-influenced interludes to harsher, death metal-driven intervals. The Everlasting Scar switched gears again. This time, Draconian taps into gothic metal, with Jacobsson taking the lead on vocals. The masterpiece of Arcane Rain Fell is the 15-minute opus Death, Come Near Me. The song begins with some eerie keyboards, which are followed by some mammoth guitar riffs and rumbling percussion. Beauty and the beast vocals dominate as the song churns along, the guitars and keys falling into the background. Jacobsson also recites more of his poignant poetry and the guitars exchange solos. The track ends with a piano-driven interlude designed to tug at those heartstrings, and damn if it doesn't work. Mentally and emotionally draining, Arcane Rain Fell is a must-have release if you listen to doom and gothic metal. 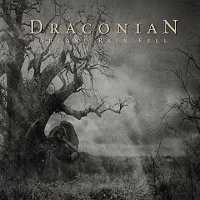 Fans of Solitude Aeturnus, Candlemass, early Anathema and Opeth, and My Dying Bride will relish Draconian's approach. You will not listen to Draconian: you will experience it.